It's hard to believe but there's actually a Jimi Hendrix shrine in Vancouver. I know this is a place that Dad will want to visit. 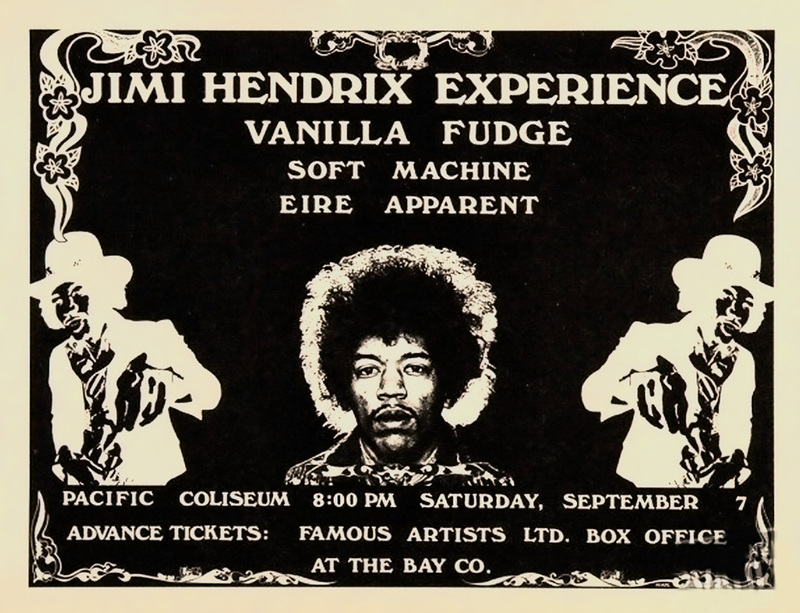 You see Dad saw Jimi Hendrix in concert a long, long time ago. September 7, 1968 to be exact (does that date dad? ), and I know that for sure because Dad has a poster of the concert. Every once in a while when we listen to CFOX-FM in the car he'll turn up the radio and say "hey this is Purple Haze", or "Foxy Lady" and then start feverishly drumming on the steering wheel. I think that's known as a "flash-back". If you have time check out the Jim Hendrix Shrine (with your dad). The Shrine is located at 432 Homer Street, Vancouver, and is only open from June to September. Sounds kind of sketchy to me so might want to call ahead to see if it is really open. Phone: 604.688.0112, Website: Jimi Hendrix Shrine Free Admission, donations welcome.